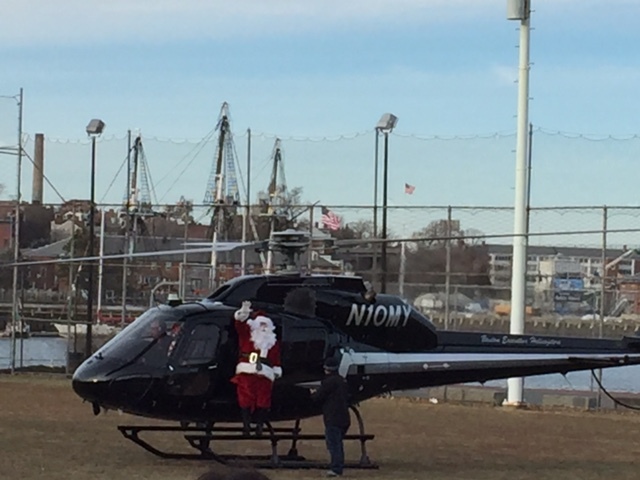 We were proud to be a Sponsor of the Annual Santa Claus helicopter ride from the North Pole to the North End on Sunday, December 17th, 2017. Festivities began at 2:00 PM at Puopolo Park on Commercial Street. Where Santa’s friends and elves sang along to their Christmas & Holiday favorites with the North End Marching Band, as they awaited the arrival of Santa at 2:30 PM. All in attendance had a great time. To read the full feature on the NorthEndWaterfront.com, click here.